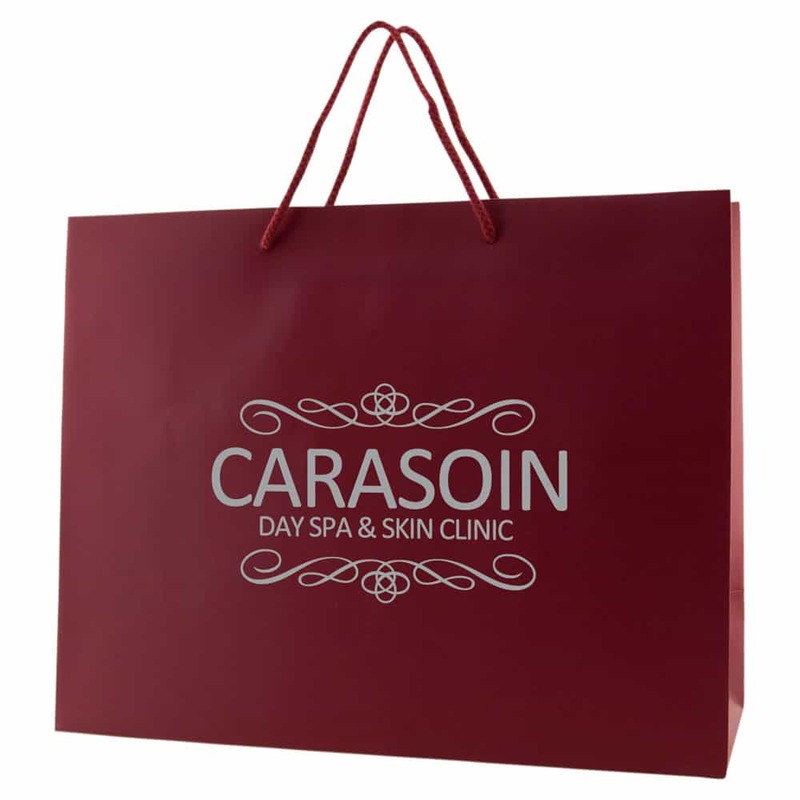 The Bag Ladies proudly offers our most popular eurostyle laminated bags in a large selection of sizes and colors. 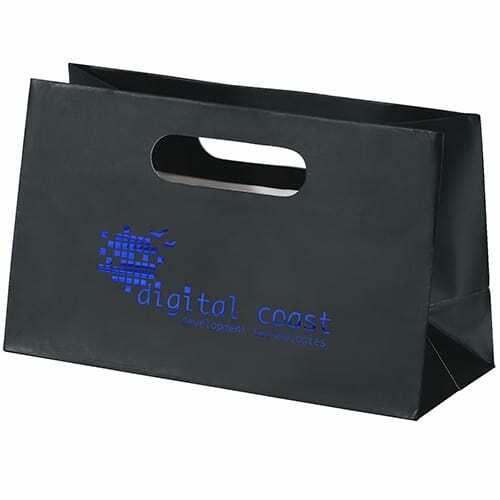 These bags are made with our thick 180 gsm paper and have matching cord handles and cardboard reinforced tops and bottoms. 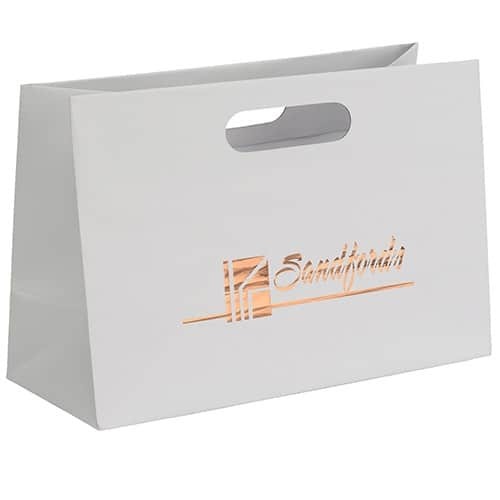 They are available in a gloss or matte laminated finish, plain or custom imprinted. 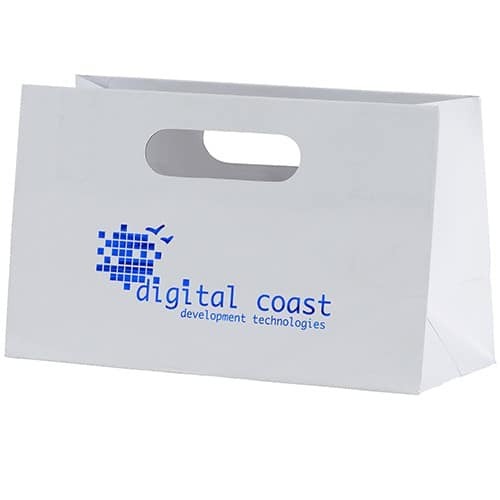 High quality eurostyle paper bags are perfect for high end stores, galleries, events, trade shows, conventions, special events, product launches, parties, and many other occasions. 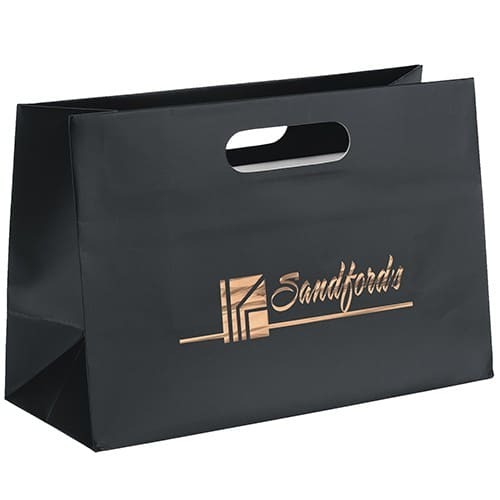 This bag can be used for any product and creates a high value appeal due to its high quality and visual style. 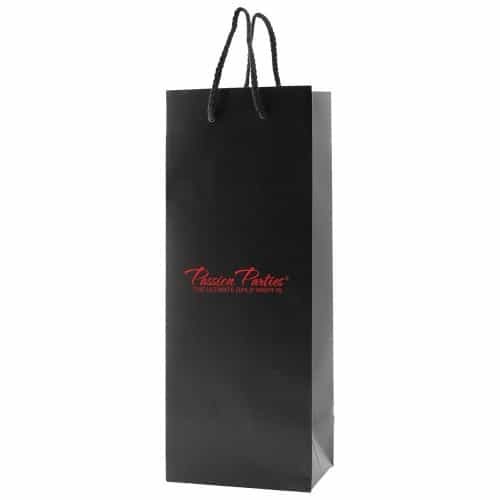 Our most elegant and sophisticated paper shopping bag. #1 most popular bag in our entire line. 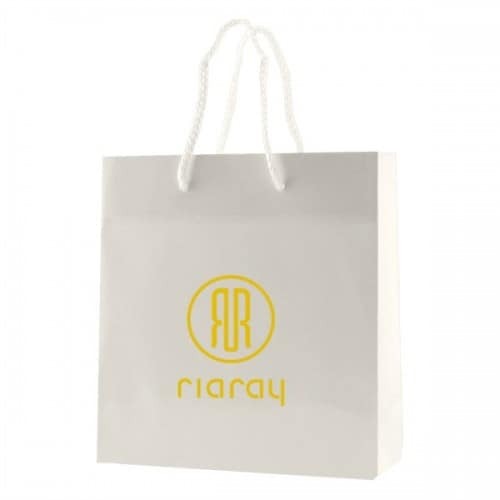 Less likely to crease and show wear and tear due to our thick 180 gsm paper stock. 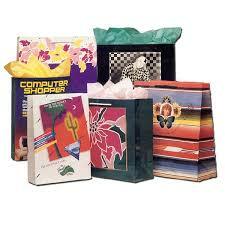 Will be saved and retained by your customers. 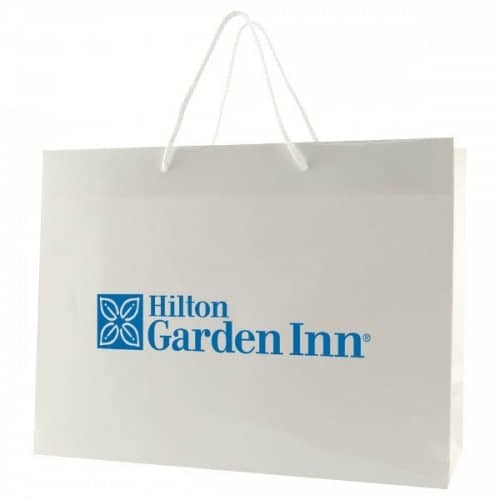 Add your logo for a truly breathtaking visual statement.